Numax Steels is well-experienced professionals, we are dedicated towards in Manufacturing, Importing, Exporting a wide range of high Nickel Sheets, Plates & Coils. 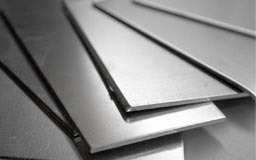 We offer our customers a variety of top quality Nickel Sheets, Plates & Coils that are employed in various end uses in process industries, construction and architectural applications and are obtainable in diverse shapes and sizes. Our products are highly recognized for their robustness, well built, long lasting and reliable. We have been able to provide first class quality products to a large number of clients in the global market. Nickel Alloy In Grade UNS N02200 (Nickel 200), UNS N02201 (Nickel 201), UNS 4400 (Monel 400), UNS 8020 (Alloy 20 / 20 CB 3), UNS 8825 Inconel (825), UNS 6600 (Inconel 600), UNS 6601 (Inconel 601), UNS 6625 (Inconel 625), UNS 10276 (Hastelloy C 276) Monel 400, Monel K500, Inconel 718, Incoloy 800, Incoloy 825, Hastelloy C22, Hastelloy B2 etc. 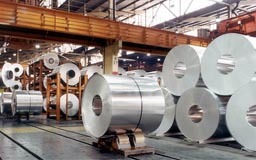 Sheet & Plate in Form of Coils, Foils, Flats, Strip, Blank (Circle), Ring (Flange) & Perforated Sheet Etc. Form Coils, Foils, Rolls, Plain Sheet, Shim Sheet, Strip, Flats, Blank (Circle), Ring (Flange) etc. 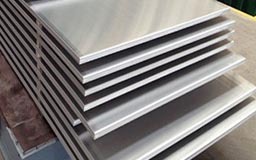 Nickel Alloy Perforated Sheet, Nickel Alloy Chequered Plate, Alloy 201 Sheet, Nickel 200 Coils, Nickel Alloy Foils & Coils Supplier & Exporter in India. Cyprus, Omdurman, Africa, Abidjan, Soweto, Nairobi, Harare, Ghana, Johannesburg, Angola, Trinidad and Tobago, Mbuji-Mayi, Ethiopa, Brazil, Abu Dhabi, Cairo, Nigeria, Kampala, Kinshasa, Rabat, UK, Colombia, Jordan, Democratic Republic of the Congo, Mexico, Saudi Arabia, Morocco, Colombo, Houston, Lagos, Kazakhstan, Yaoundé, Fez, Bahrain, Russia, Dakar, Tunisia, Uganda, Oman, Canada, Casablanca, Yemen, Iraq, Maputo, Egypt, Ouagadougou, Bulawayo, London, Kolwezi, Malaysia, Kuwait, United States, Qatar, Tripoli, Thailand (Bangkok), Subra al-Haymah, Bamako, Durban, Turkey, Giza, Argentina, Conakry, Pretoria, Azerbaijan, Alexandria, Kano, UAE, Douala, Germany, Lebanon, Dar es Salaam, Accra, Vietnam, Chine, South Africa, Sudan, Iran, New Zealand, Cape Town, Algeria, Mozambique, Brazzaville, Khartoum, Maiduguri, Port Elizabeth, Lubumbashi, Dubai, Australia, Sri Lanka, Luanda, Freetown, New York, Hong Kong, Indonesia, Singapore, Antananarivo, Venezuela, Mogadishu, Zaria, Addis Ababa, Port Harcourt, Benin, Israel, Ibadan, Peru, Kaduna, Italy, Cameroon, Algiers. Kaduna, Oman, Casablanca, Mizoram, Benin, Qatar, Baraut, Cameroon, Kano, Ouagadougou, Alexandria, Singapore, Accra, Durban, Bundi, Tripura, Kinshasa, Ghana, Addis Ababa, Omdurman, Mogadishu, Port Elizabeth, Bansberia, Delhi, Giza, Karnataka, Yaoundé, Kerala, Khartoum, Puducherry, Bangalore, Lubumbashi, Benin, New York, Jamalpur, Democratic Republic of the Congo, Muktsar, Zaria, Yemen, Tadepalligudem, Andhra Pradesh, Udgir, Nairobi, Ibadan, Surat, Subra al-Haymah, Sadar, Pune, Jordan, Abidjan, Russia, Uganda, Angola, Soweto, Bhiwadi, Dar es Salaam, Algiers, Harare, Cape Town, Maiduguri, Morocco, Cairo, Tripoli, Venezuela, Maharashtra, Maputo, Colombo, India, Brazzaville, Rabat, Lagos, Lucknow, Pretoria, Ethiopa, Johannesburg, Hyderabad, Jaipur, Mbuji-Mayi, Conakry, Bulawayo, Betul, Hong Kong, Douala, Kolkata, Kampala, Manipur, Luanda, Algeria, Suryapet, Abu Dhabi, Kolwezi, Mumbai, Port Harcourt, Freetown, Bamako, Ahmedabad, Ballia, Chennai, Thailand (Bangkok), Buxar, Lebanon, Nagapattinam, Fez, Mozambique, Miryalaguda, Dakar, Ambala, Cyprus, Antananarivo.